Such a fun experience, would recommend it to anyone! 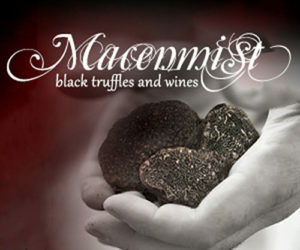 Thanks Barbara and Richard for the insight into truffles and the delicious three course lunch! It was very enjoyable. It was a very good day with the dogs and the hand on experience! What a wonderful experience!! Friendly people lovely dogs gorgeous day. Loved it! Very good experience in truffle hunting, excellent food and very informative session, friendly staff, highly recommended tour. Really well organised, friendly people and great experience. Will recommend to friends/family. We loved it - great host and hostess - wonderful and new experience - gorgeous dogs - wonderful lunch what a day. Lovely day - friendly informative hosts great company, food with of course truffles we have really enjoyed ourselves Thank you! Very friendly & educational! And delicious. I would actually be satisfied with the truffle hunt, talk and then straight into the cooking demonstration and meal is almost too much food & value for money! Shopping at end of cooking lesson was great. Amazing! !Beautiful hosts and truffle lunch. What a pleasant surprise after lunch it got even better with a delicious cooking demo. Great hosts! Take my hat off to the chef. Food delicious, interactive, wonderful day out. I'm going to try the recipes at home. Thank you very much for everything! I just loved everything you offer for us. I've got a lot of info about truffles Good good food. Cooking demos, loved everything!! We will come back! This was a fantastic day, all paddock to plate in one small area and showing the potential of truffles in cooking. I am not a cook by any means but seeing John prepare the meal in front of me was so educational to my taste buds. Congratulations on expanding the truffle industry.